We can place logic like connections closing or cleaning data in finally. 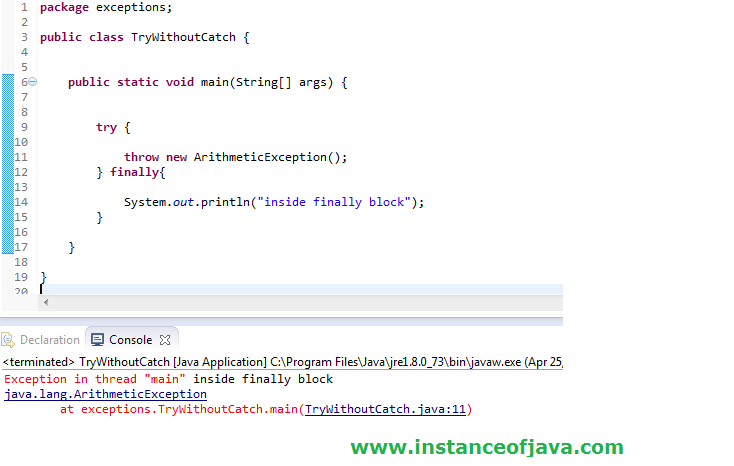 What happens if exception raised in try block? Even though exception raised in try block finally block executes.